Email marketing campaigns are used by the majority of companies to advertise their products, share their news, or invite their subscribers to take part in activities/events. A campaign is a ‘call to action’ with varying objectives and, recently, there have been several questions raised about the effectiveness of email as a method for engaging and motivating your contacts. In this post, we look at why, despite the rise of social media, email marketing remains an important and effective marketing tool. 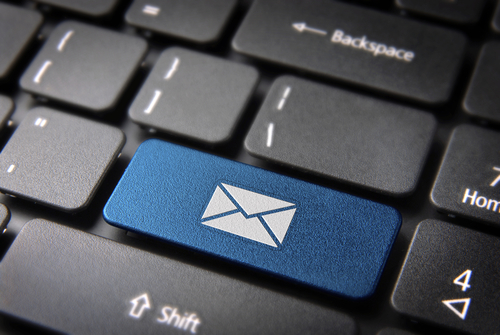 More than 200 million emails are sent every minute. It is perhaps no surprise that email is still a very heavily used means of communication for consumers and organisations alike. It allows you to open your mail at your leisure, rather than receiving a phone call or text, and direct mailings can often be thrown straight in the bin if not immediately relevant. A 2015 study carried out in the US found that 72% of American adults say that they prefer companies to communicate with them by email, rather than by other means. A high percentage (91%) of respondents also said that they like to receive promotional emails from organisations that they already do business with. Email marketing allows you to send relevant and insightful content to a group of people who have knowingly and willingly subscribed to your list. Over-enthusiastic marketing using social media can lead to you losing followers, especially if you bombard them with too many posts/adverts. With social media, you are relying on your followers to see your posts, yet if they only access their accounts at certain times of the day, you may get missed in their already-busy feed. It is also hard to target your marketing on social media when all your followers see all your posts. An email can be opened when it suits the recipient. In addition, most users of the internet are also email account holders, whereas only 70% have a social media account. Email marketing remains an easy way for organisations to reach their list members on mobile devices, without having to invest in new technology and/or software. A 2014 study carried out by shop.org found that just under 50% of retail email messages were opened by customers on their smartphones, and about 20% on tablet devices. Simply building a list of email contacts can be a waste of time. Instead, it is worth investing your efforts in segmenting and targeting your list so that you have engaged readers who want to open your email and read what you have written. For example, you do not want to send information about the latest sale in women’s clothing to your male subscribers. If you don’t target your emails well, you are likely to see high ‘unsubscribe’ rates.